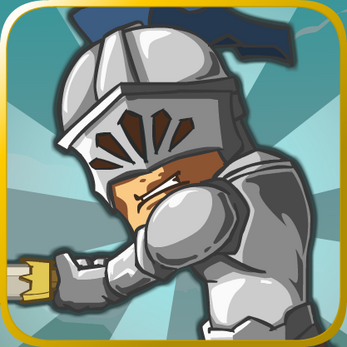 You are the knight and your quest is to save the princess and her castle against hordes of evil monsters. Funny, humorous, action game with tower defence elements where two genres are combines together to make this one. take powerups from the princess, collect items from the flying pig and also you can hire helpers on the towers. Obviously you can Upgrade your sword and statistics to be more badass, claim many of Achievements and fight some Bosses.